What Is Jaaxy And Who Is It Useful for? Jaaxy is a keyword and research platform that is a tremendously efficient resource for anyone looking to make money online. What’s unique about Jaaxy is that it’s easy to see that it was created by affiliate marketers for affiliate marketers. What that means is that the experts who know what’s needed to give you that competitive edge and what it takes to make money on your website are the ones who put together the most advanced keyword tool in the industry! Are you selling your products on your website? Jaaxy will help you focus your information and marketing to exactly the audience you’re looking for. But there’s much more to Jaaxy than just keywords–it’s designed to help you save time and see results in basically every important task! First and foremost, Jaaxy is a fantastic keyword tool, in fact the #1 keyword tool in my opinion! Keywords are one of the cornerstones of a great website. No matter how great your content is, if it doesn’t have a connection to the right keywords, you’re not going to get ranked well by the search engines. If you aren’t ranked well by Google, Yahoo, and Bing, you won’t get traffic to your site. No traffic=no cash, pure and simple! Jaaxy’s keyword tool is fast and gives you a wealth of information that you can use to drive traffic to your site. Each set of keywords is rated with 5 categories, all available with just one click! 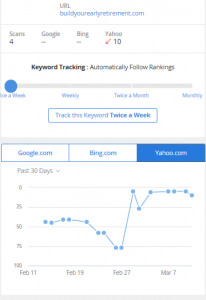 AVG–The average number of searches the keyword receives each month. You need to know the exact wording that is being entered for your topic, then you know how to tailor your article to those words! Traffic–The number of visits to your site if you achieve first page rankings in the search engines. Your keyword may seem like it’s exactly what will work, but you need to know how much traffic it will actually send to your site. QSR–Quoted Search Results, the number of competing websites ranked in Google for this exact keyword. This is one of my favorites! There could be 1000’s of searches for a keyword each month sending large amounts of traffic to the sites ranked on the first page. But if you are competing with 300-500 websites all trying to be #1 for that keyword, you are facing an uphill battle! I find that I get significantly better results concentrating on keywords with QSR ratings of less than 100, and this tool is what I use to find them! KQI–Keyword Quality Indicator, ranked by color–Green is great, Yellow is OK, Red is Poor. The creators of Jaaxy have used their experience to give you their overall quality rating for the keyword. As successful affiliate marketers, their score gives me great confidence when choosing keywords for my articles! SEO–Score based on traffic and competition 1-100, the higher the score=the higher you are likely to rank on the first page. You can struggle and struggle trying to get to the first page of the search engine results with a keyword. With this rating you will know which keywords will be more likely to get you there and which ones will be more difficult. No sense spending your time with keywords that just aren’t going to give you the results you want! Jaaxy gives you the ability to save keyword lists so you can sort them efficiently and keeps a search history. So you will never spend time trying to remember what keywords you’ve researched already, and you can access them for future blog articles easily. The old saying, “Time is money!” is very true, and Jaaxy saves you time! OK, you’ve created your list of high quality keywords, and you’re writing great content for your website. Now my second favorite tool can help you with your business–Jaaxy’s Site Rank! It can take up a lot of your time and effort trying to find out how each page and post of your site ranks in the 3 major search engines–especially as you build your site out and have possibly hundreds of pages to keep track of. Jaaxy will find where your site’s content ranks in Google, Bing, and Yahoo, and you will see your progress every step of the way! Pictured is the site ranking of one of my newest posts. These new articles typically jump up and down the rankings for the first month or two. But you can see the trends for each search engine, which is a benefit I love! But the best part is that you can set it up automatically! You can set Jaaxy up to scan each search engine and check your rankings twice a week, once a week, twice a month, or once a month. That leaves your valuable time to research and write great content that will bring even more traffic to your site! Having a problem on your website that you’re unaware of? I also use automatic scans twice a week to keep an eye on my rankings as a signal for problems, such as broken links or something slowing down my site. As soon as I see a drop in any of my rankings, I can pinpoint the problem and be back in business in no time! Search Analysis–This tool will show you the top ranked sites for your keyword in detail. I’ve used it when creating new content to show me what sites are ranked high for the keyword I am building my content around. Many times I’ve found that by looking at the sites that are ranked high, I can see what the search engines value for my keyword. Domain Name Search–For anyone starting out that doesn’t have a website yet and is looking to see what domains are available, this is a good resource. 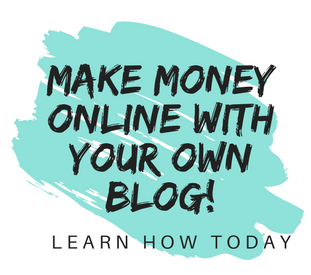 I created my website and chose my domain name through the Wealthy Affiliate program, so this tool isn’t one that I have used. Affiliate Programs–Jaaxy will list affiliate programs based upon the keywords you enter. These programs are with 4 of the major affiliates: Commission Junction, Link Share, Digital River and Click Bank. 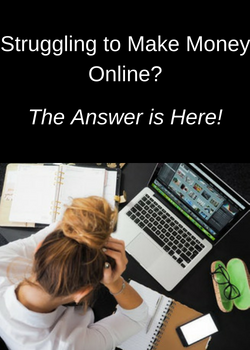 While it can be very useful, I use the training at Wealthy Affiliate, and I’m able to get affiliate programs for my exact niche with Google searches. 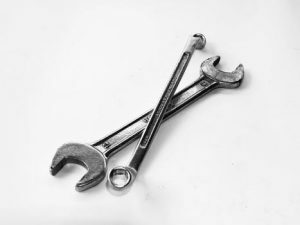 Many online tools give you access to their program for a limited time after you give them a credit card. Then it’s up to you to remember to notify them if you don’t want to continue with their paid membership. The creators of Jaaxy have confidence in the value you are getting when you sign up. So you get to sign up for a free trial and experience everything Jaaxy has to offer without paying a penny! It’s not unusual to spend 3-4 hours doing keyword research. If you were to do that research in just 1 hour with Jaaxy, you’d have 2-3 extra hours to spend on your business. What could you do with that time? If you wrote 1 article that wound up making you $200 per month, that extra time just made you $2,400 per year–Time is money! Here at Build Your Early Retirement we will give the Jaaxy Keyword Tool a 4.7 out of 5. It has a great deal of value for anyone who wants to make money online. But don’t take my word for it–try it for free! See what Jaaxy can do for your online business! I didn’t know Jaaxy could show you how your sites rank. How useful! Is this with the free trial or do you have to upgrade for that? Yes, you get 30 siterank scans with your free starter membership! I usually just use some free keyword tools, especially Google’s, but they’re really cumbersome. Jaxxy’s tool looks like it’s so much easier to use and to read. I especially like the KQI because that’s super easy to understand. I can see that Jaxxy is a huge time saver! And you know what they say… time is money! You are so right! Thanks, Christina! Jaxxy is defenitely a MUST HAVE if you want to build your own website and create traffic. Using Google is something that you can do but you wont have detailed info like the traffic or the QSR (quoted search results) like Jaxxy does. This is really important as you said in your post. Good post! I used to think Jaaxy keyword tool wasn’t as important as it is to me now until I read some reviews about it. I then began using it on the Wealthy Affiliate platform and it’s been awesome. I’ll recommend Jaaxy Keyword Tool to any website owner who needs traffic. It’s a money well spent. Glad to know it’s been useful to you as well–I love it! I like how simple it is to use Jaaxy and it really is helpful with finding the keywords to include in an article/blog post. While I knew which each column’s numbers represented, I actually didn’t know some of what the acronyms stood for, so I appreciate you listing those out! In my opinion, Jaaxy has really helped me with identifying the keywords to use. Thanks for telling your readers what Jaaxy is all about and the benefits it provides! Thanks a lot for the very thorough and comprehensive review post on Jaaxy. Being a full-time blogger and relying on organic traffic, Keyword research tool is a very must for me. I am using Jaaxy since November 2016 and to be honest with you Jaaxy is more than a keyword research tool. It’s one of the very best keyword research tool I came across online. Also the additional features such as brain storm and Alphabet soup technique make it the very best keyword research tool. I have nearly 150+ posts on my site and all the posts keyword research are done with the help of Jaaxy. I am a fan of Jaaxy and anyone can try it with the free trial. Thank you for sharing your great experience with Jaaxy, and I wish you continued success! I agree with you that the we need to have the right tools so we can do the job right, I personally been using Jaaxy for about two months as my keywords search engine and my content is starting to rank on google,so far is my number one keywords search engine I do recommend it. So glad you’re seeing results, and good luck for continued success! Personally, when I do keyword research on for my website, I don’t even take keywords that are close to 100 even though most say that it is okay to do so. My ideal keywords would have at least less than 30 in terms of websites competing for it. I also make sure that the SEO score is in the low to extremely high 90s. Do you find any value in the kqi metric? The KQI is not something that I use much now, but I did refer to it when I was a beginner. I like low hanging fruit keywords that have very little competition, so the KQI metric will rate something a great keyword that I think is still not targeted enough. So it is a feature that will have less and less value as you gain experience, I think. How To Make Money With A Computer–You Can Do It!